How Do Hard Drives Fail ? Data Clinic Ltd’s data recovery and hard drive repair services are situated around Worcester and Birmingham. Data Clinic are the UK’s leading specialists in RAID, Server, NAS and hard disk drive data recovery. Our prices are highly competitive and our customer services friendly and efficient. We have regional data recovery offices throughout the UK and also offer a free secure collection service from your door. Emergency and budget service options. Data Clinic Ltd are the experts at recovering data from hard drives when things go wrong. We understand the value of your data and the stress you may feel, and we know how easily faults and accidents can occur. When your hard drive, server or storage device fails, you can trust us to correctly diagnose the problem, find a solution and then successfully complete the file recovery. We recover data from hard drives almost every day of the year, and when you call us, we’ll give you a quote over the phone, and send out a courier to collect your faulty device if you wish to proceed or you can call in to one of our regional offices. Once the device arrives at our service centre, the fault will be identified and you’ll be provided with a time and cost estimate for the repair and recovery. If you wish to proceed we will complete repairs and recover the files from the hard drive. Once the data has been recovered, we transfer the files to your chosen device, such as a working external hard drive, and dispatch this to you immediately. We offer realistically priced, no-nonsense services and timescales to suit your needs and budget. Our customer service team will keep you updated throughout the data recovery process. We also offer 24/7 on-site disaster recovery support for businesses hit by data loss issues, with trained technicians available to visit your site in the event of an enterprise emergency. 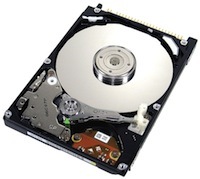 Data Clinic’s data recovery services are used by individuals and businesses throughout the UK with damaged or faulty hard drive storage devices. We offer hard drive recovery from desktop PCs, Macs, USB external hard drives and laptop data recovery. Data Clinic’s HDD recovery has a better than 90% success rate from the world’s major manufacturers of hard drives – Seagate, Western Digital, Toshiba and Samsung. Data Clinic Ltd are the only national data recovery company with a dedicated RAID Recovery and Support Team. Our experienced and extremely well-equipped raid data recovery team carry out full server system recovery for organisations experiencing server problems. We specialise in RAID and NAS recovery following natural disasters such as fires and floods, as well as providing data retrieval solutions to every day problems such as multiple hard drive failure, RAID config corruption, and power outages. Data Clinic don’t just recover data from hard drives, our repair and recovery skills also extend into mobile phones and data tablets. Data can be lost from a phone or tablet for all types of reason. Perhaps some precious photographs have accidentally been deleted or you need to recover some deleted text messages. Maybe the smartphone has been dropped or doesn’t switch on anymore so you can no longer access the data. Don’t worry, our recovery services can deal with all these problems, we are specialists in iPhone, Samsung, HTC and Blackberry repair – take a look at our mobile phone recovery services. This is the second time we have used Data Clinic, this time it was for a Raid Drive which had failed for no reason and we could not access recover our data. They were great last time so rather than mess around we called Data Clinic and they collected the Drive. They did a great job and we were up and running again really quickly. Very happy to give them a review, very professional from start to finish. Salutation Select Value Mr. Ms. Miss Mrs. Dr. Prof.